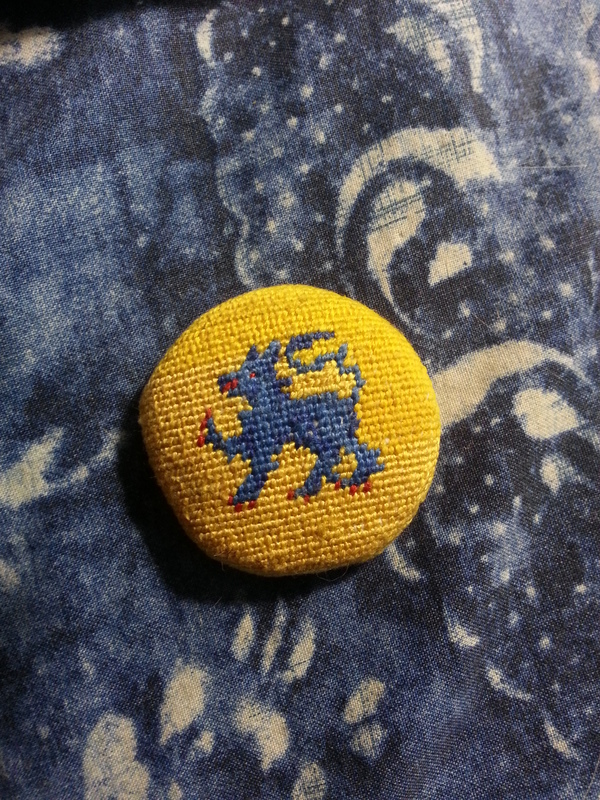 I also finished my marshal badge, but I forgot to take a picture. This has been many months in the making, don’t start with 28 count for your first counted work! It’s about an inch and a half across. Yay for getting my competency on counted. Also got working knowledge in couching for the marshal badge. WooHoo! I’m now a journeyman! Previous Birch leaf Next Today was an embroidery day as well..